About FIA Bar - Products, News and Contacts. The Fire Industry Association (FIA), Europe’s largest trade association for the fire protection sector, has lots of new and exciting things for visitors at FIREX. Those visiting the stand will be pleasantly delighted at the new and improved FIA Bar, where guests can relax, unwind, have a drink, and catch up with new and old colleagues. It’s a great space for networking and a great space to meet with other members of the Association. Membership of the FIA has been growing at an exponential rate over the last year – over 800 companies nationwide are now members, with some joining from outside the UK. 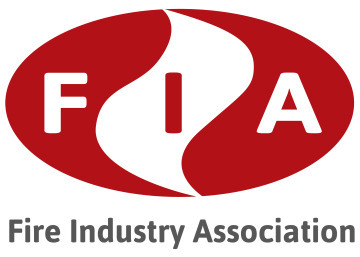 Membership of the FIA has some excellent benefits – use of the FIA logo on all your marketing materials such as your website and vehicles for added credibility, discounts on British Standards and all FIA training and qualifications, and access to exclusive members-only technical councils, working groups, and events. Known throughout the industry as the hub of technical excellence, the FIA has a wealth of technical expertise on a range of areas from fire detection and alarms, to extinguishing systems, to fire risk assessment and more. If you have a technical question, visit the FIA stand to have a chat with a technical manager who will be able to provide you with technical advice and guidance. Lastly, but certainly not least, visit the FIA stand to have a chat about the qualifications that the FIA has to offer. Qualifications are all Level 3 on the Regulated Qualifications Framework (RQF), and will qualify a technician to design, install, maintain, or commission fire detection and alarm systems. Each qualification is comprised of four units of study – the Foundation unit, Health and Safety, Environmental, and one specialist advanced unit from a list of four options: Designer, Installer, Maintainer, or Commissioner. The selection of the specialist unit will determine the qualification gained (Installer gets you a qualification in fire detection and alarm installation, and so forth). New for 2019 is the addition of an FIA ECS card – which lists all qualifications gained on the back of the card and features the FIA logo. The FIA will be presenting a number of seminars at FIREX where you can learn more about the qualification structure, topics studied, and any required pre-learning, as well as the new FIA ECS card. You can also find out more about any of the above – and pick up a prospectus – at the FIA bar, where FIA staff will be on hand to explain the courses in detail and help you with any training requests. We train over 3,000 engineers a year on many aspects of fire protection. Have a look at our latest brochure to see what training courses might be relevant to you. Wondering what the benefits are to becoming a member of the FIA? Download our benefits brochure and find out.